This week we're looking at part three of Practical Magic (Kindle) by Nikki Van De Car. Instead of a traditional review I thought I would take the next few weeks to go into each of the chapters with you at my first read as opposed to reading the entire book and then giving a review. You can find several of her publications at Running Press. Part Three of this book is titled Casual Clairvoyance. 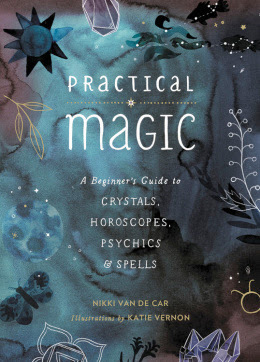 This section gives a high level overview of a few methods of divination. It reviews the Tarot, Palmistry, Astrology and Dream Interpretation. Keep in mind this is a beginner's book so the sections on each are short and provide a basic understanding of the art. The Tarot section for example provides and overview of the suites, the major arcana and then two spreads. A basic three card (past, present and future) and what the author calls a Guidance Spread. I did a quick search on the net and couldn't find a reference to the Guidance Spread. Basically it is a nine card spread that is outlined in the book. While not the most in-depth reading spread I have seen, I think it is a great start for a beginner. If you're interested in this spread, you'll need to buy her book. 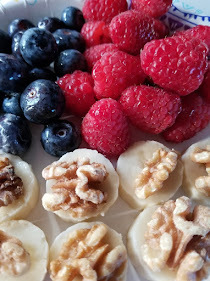 This is a brief video of a three card spread. 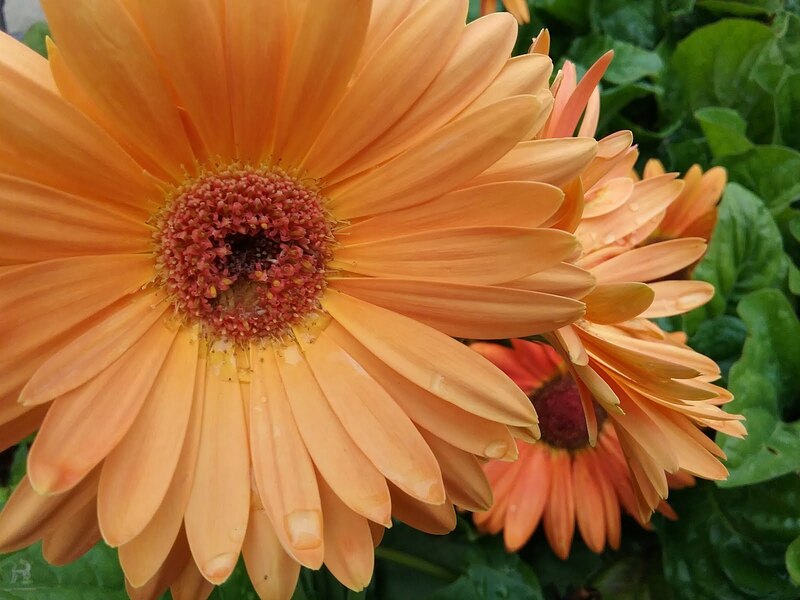 I am by no means an expert on the Tarot and I recommend that you reach out to a Tarot professional in your area or check out my sister Kallan's page for more information on Tarot and Totem readings. Here are a couple videos on some of the other divination methods she discusses. 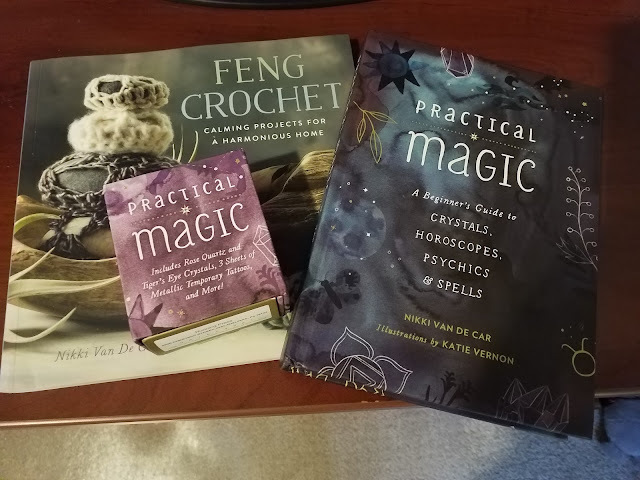 As I mention in previous posts, now is your chance to enter to win the Practical Magic Prize pack, which includes the book I reviewed for this series, along with the matching mini spell kit and a copy of Feng Crochet. Be sure to come back and Tweet the giveaway each day for more entries into the hat. Facebook, Blogger and Rafflecopter are in no way associated with this contest. Please click the link to login or enter with your email address below. I will announce the winner after they have been notified!